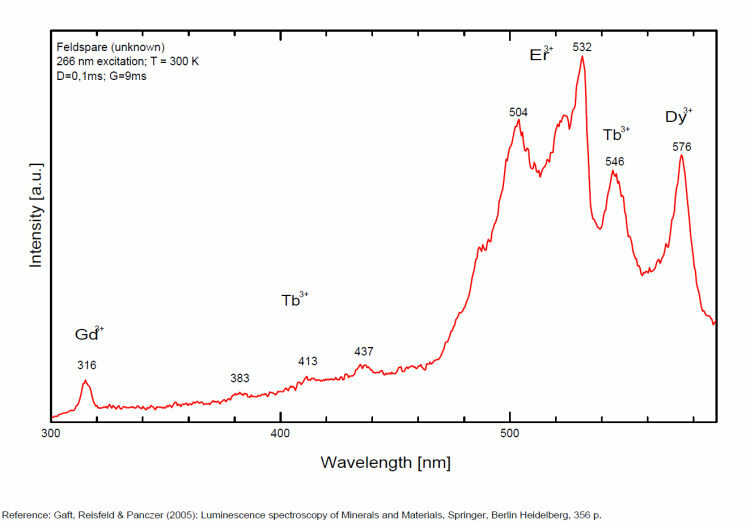 The UV emission of feldspar at 290 nm is linked with the presence of Na and cracks-strainexsolution-twinning; at 340 nm with stress in Si—O bonds; the broad blue band (380-450nm) with [AlO4]o defects; at 560nm with Mn2+ point defects and at 720nm with iron in the lattice. 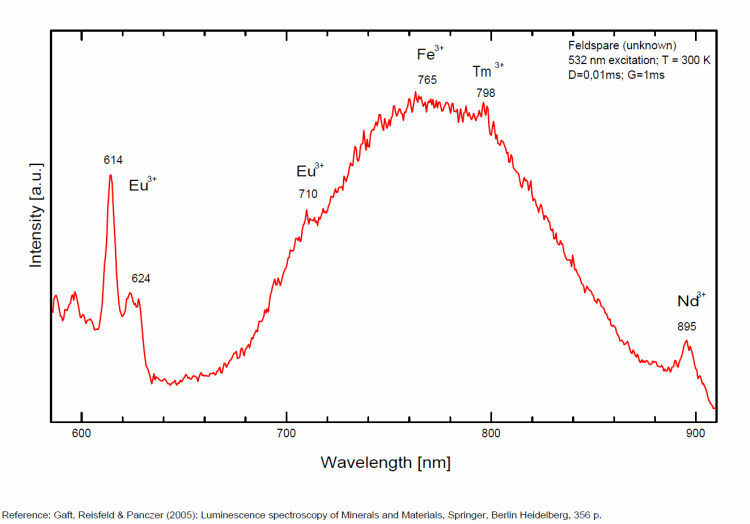 Iron-rich feldspars: luminescence emissions at 560 nm and 750 nm come from point defects of Mn2+ and Fe3+ in feldspar lattices. 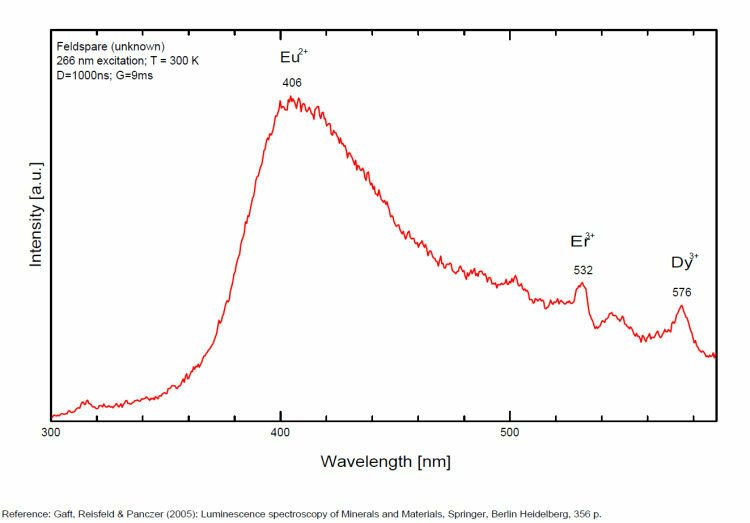 Furthermore, high amounts of these impurities (e.g. 0.3%) lower these light emissions. 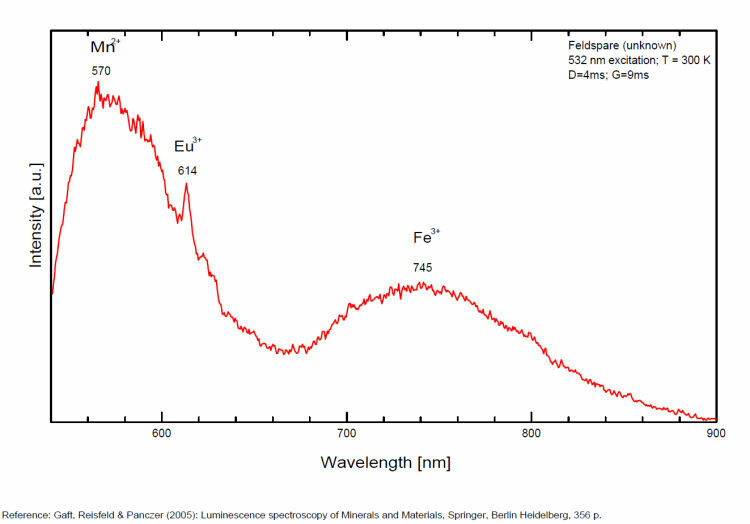 Dark and iron-rich samples emit weak luminescence signals.